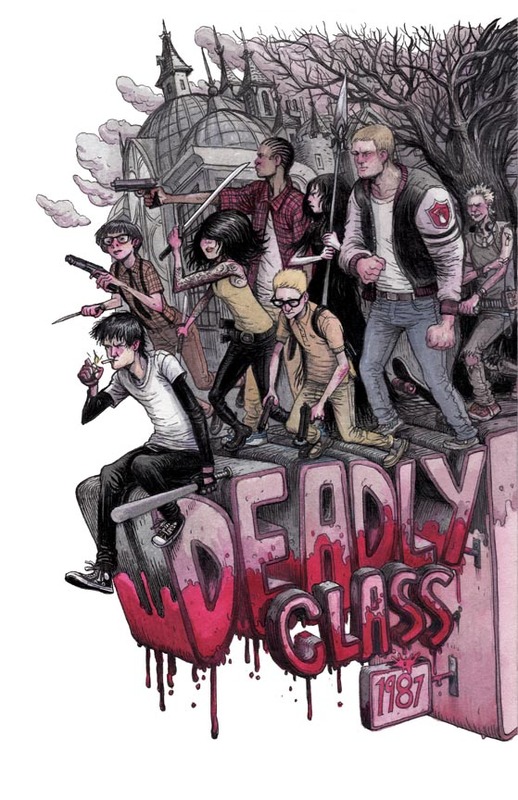 a little while back i did this alternate cover to deadly class (issue#1), a new book by rick remender, wesley craig, and legendary colorist Lee Loughridge. it is coming out from image comics and should be in stores by january 22nd. 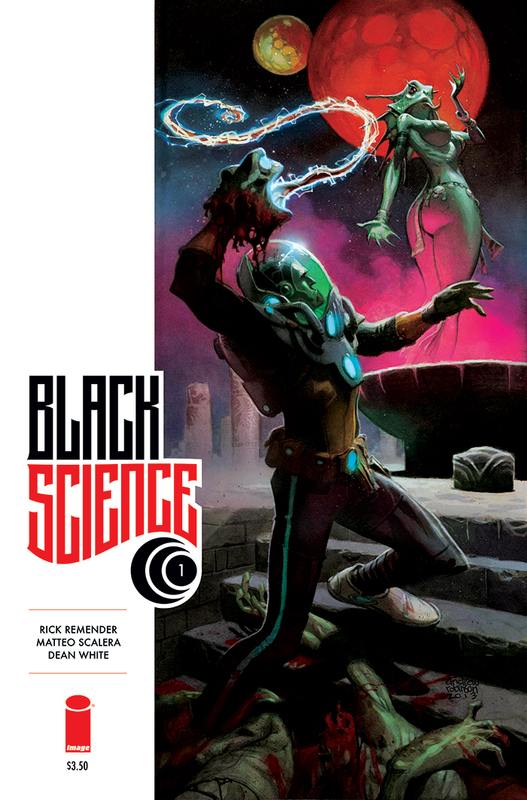 and speaking of remender, i just picked up his new book with mattaeo scalera and dean white, black science and was really impressed by it. 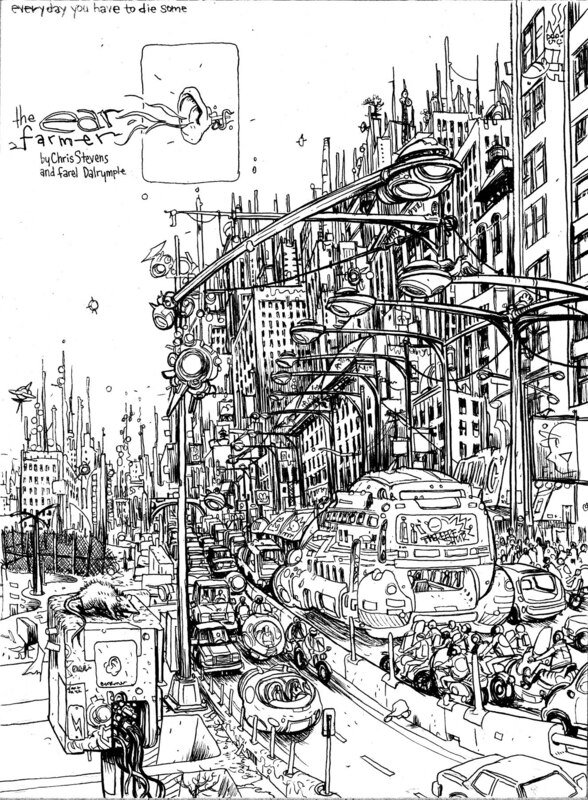 cover image by the long admired andrew robinson. 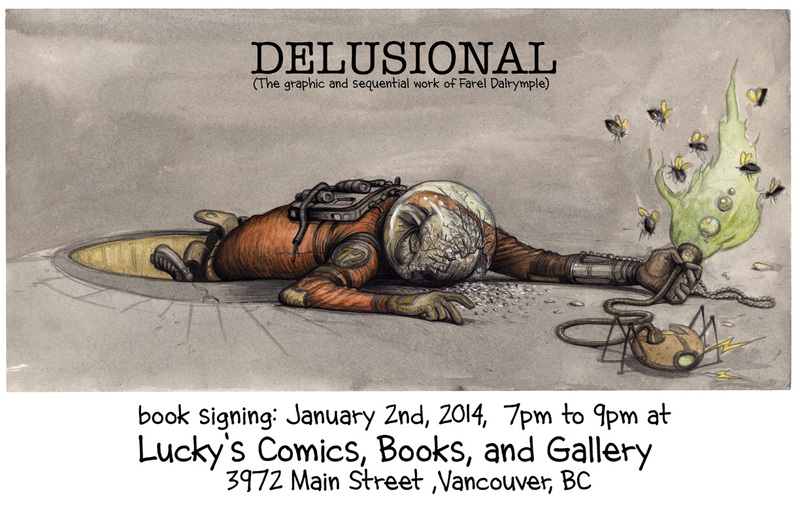 thanks to everyone who came out for my recent floating world comics delusional book release. it was great seeing all of you. 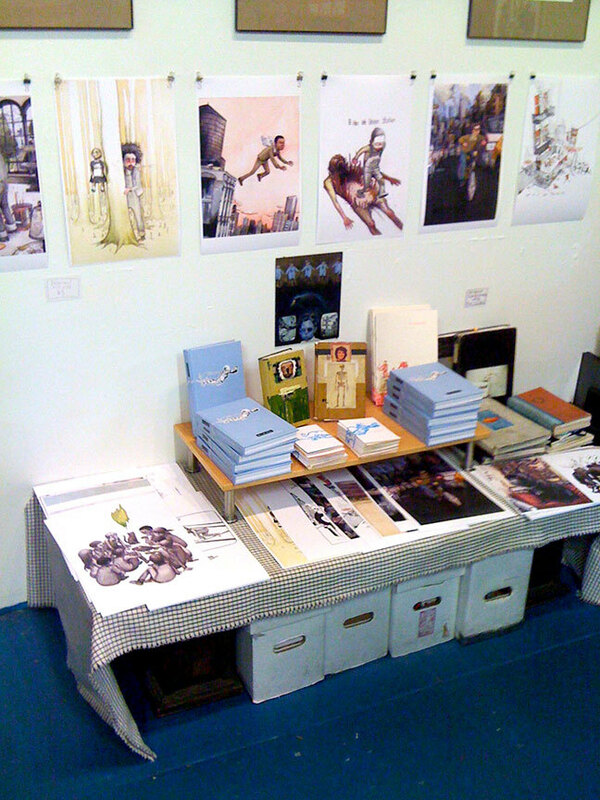 so here’s a picture of some of my books and prints. this and more pictures courtesy of the most excellent andrew on his prophet sharing tumblr. i have four pieces of original art on sale there at floating world until the end of the year in a few days. go by the shop or contact jason leivian for online purchasing. there are also a bunch of prints for sale and my sketchbooks are still there for perusal until new years. There was a nice review of Delusional in last weeks portland mercury. 2013 was a pretty decent year for me finishing up stuff. not only did i finally knock out the wrenchies for first second but i just wrapped up a young adult story i have been working on with mk reed and greg means. 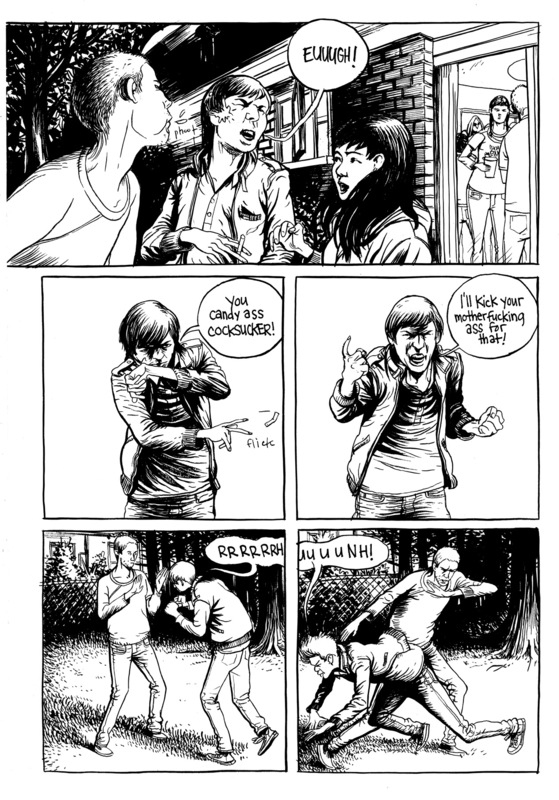 here is one action and swearing packed page from that 61-page story. i also have about three weeks left of the current chapter of it will all hurt. hopefully we will have parts 3 and 4 collected into a real comic by emerald city comic con which as you might have seen i am a special guest at. 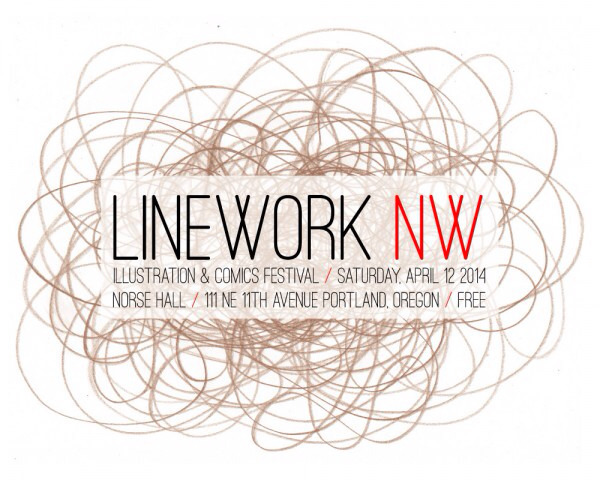 or by linework, a new local independent comic show here in portland in april 2014.
my plan now is to do a little more work on prophet, finishing that series up, then starting in january get to work my new regular gig, the ear farmer for dark horse presents. here is the as yet uncolored title page i did for that story with writer chris stevens. and of course i will still be working on finishing up the next pop gun war too. ok, maybe, if i am lucky, i’ll see you in canada.